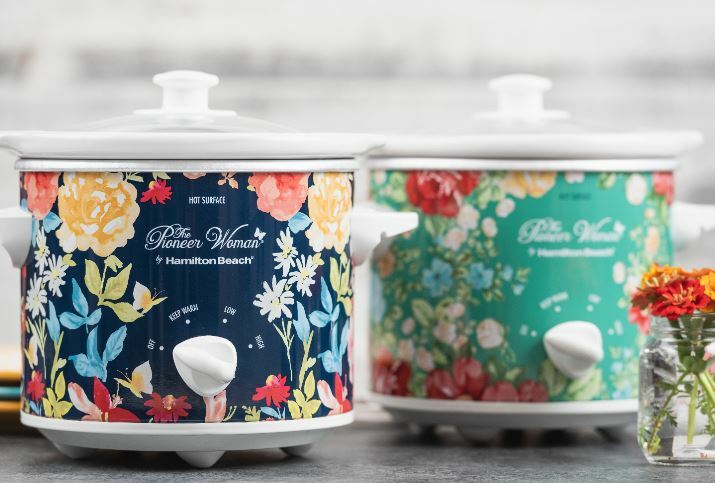 Get this Pioneer Woman 1.5 Quart Slow Cooker (Set of 2) by Hamilton Beach on sale for $19.99 (Retail $44.99). Add a splash of color to your next party buffet while keeping your food warm. The 1.5 quart capacity is ideal for appetizers, fondue, sides or cooking for one or two. Shipping is free with your $35 purchase or choose free in store pick up if available at Walmart.